In a pair of recent papers, researchers at MIT's Computer Science and Artificial Intelligence Laboratory have demonstrated that, for a few specific tasks, it's possible to write computer programs using ordinary language rather than special-purpose programming languages. A group of researchers from MIT and the University of Ireland has presented a paper (PDF) showing that one of the most important assumptions behind cryptographic security is wrong. As a result, certain encryption-breaking methods will work better than previously thought. "The problem, Médard explains, is that information-theoretic analyses of secure systems have generally used the wrong notion of entropy. They relied on so-called Shannon entropy, named after the founder of information theory, Claude Shannon, who taught at MIT from 1956 to 1978. Shannon entropy is based on the average probability that a given string of bits will occur in a particular type of digital file. In a general-purpose communications system, that’s the right type of entropy to use, because the characteristics of the data traffic will quickly converge to the statistical averages. ... But in cryptography, the real concern isn't with the average case but with the worst case. A codebreaker needs only one reliable correlation between the encrypted and unencrypted versions of a file in order to begin to deduce further correlations. ... In the years since Shannon’s paper, information theorists have developed other notions of entropy, some of which give greater weight to improbable outcomes. Those, it turns out, offer a more accurate picture of the problem of codebreaking. When Médard, Duffy and their students used these alternate measures of entropy, they found that slight deviations from perfect uniformity in source files, which seemed trivial in the light of Shannon entropy, suddenly loomed much larger. The upshot is that a computer turned loose to simply guess correlations between the encrypted and unencrypted versions of a file would make headway much faster than previously expected. 'It’s still exponentially hard, but it’s exponentially easier than we thought,' Duffy says." I have been working on a system alone for about four years. I have built it from the ground up. It is not a perfect system. It is very complex, it is buggy, and the business is now becoming aware of this. After all this time, other developers at the company are getting interested in the project, and they are becoming more involved. I am a bit worried they will blame me for the problems. Am I being paranoid? Have others experienced a similar situation? How can I soften the glare of the spotlight on my buggy code? Imagine a future where solar panels speed off the presses like newspaper. Australian scientists have brought us one step closer to that reality. 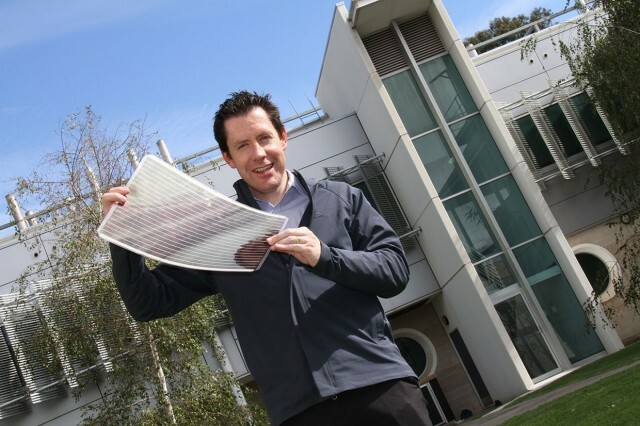 Researchers from the Victorian Organic Solar Cell Consortium (VICOSC) developed a printer that can print 10 meters (about 33 feet) of flexible solar cells a minute. Unlike traditional silicon solar cells, printed solar cells are made using organic semi-conducting polymers. These can be dissolved in a solvent and used like an ink, allowing solar cells to be printed. Not only can the VICOSC machine print flexible A3 solar cells, the machine can print directly on to steel. It opens up the possibility for solar cells to be embedded directly into building materials. Raspberry Pi has received the lion's share of attention devoted to cheap, single-board computers in the past year. But long before the Pi was a gleam in its creators' eyes, there was the Arduino. Unveiled in 2005, Arduino boards don't have the CPU horsepower of a Raspberry Pi. They don't run a full PC operating system either. 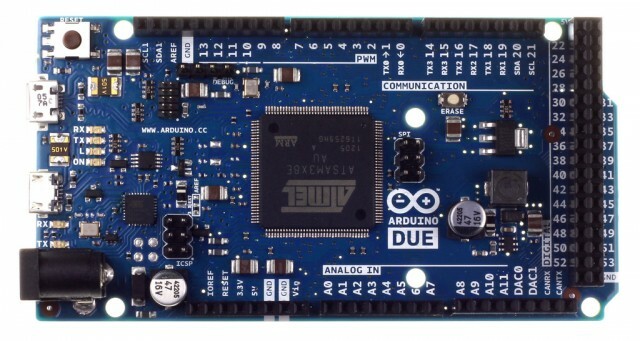 Arduino isn't obsolete, though—in fact, its plethora of connectivity options makes it the better choice for many electronics projects. While the Pi has 26 GPIO (general purpose input/output) pins that can be programmed to do various tasks, the Arduino DUE (the latest Arduino released in October 2012) has 54 digital I/O pins, 12 analog input pins, and two analog output pins. Among those 54 digital I/O pins, 12 provide pulse-width modulation (PWM) output. Google has added a few more employees to its roster. 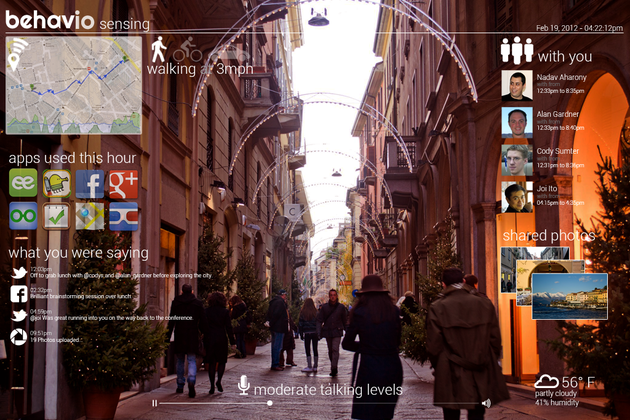 The new hires come from the team behind Behavio, a company works on recording and analyzing the data that smartphones are capable of keeping track of: location, speed, nearby devices and networks, phone activity, noise levels, and much more. The idea is that the software can keep track of all of this data and be able to watch for any deviant behavior — and make educated guesses based on what's going on. To do all of this, Behavio created Funf, an open source framework that allows developers to leverage this data on Android.